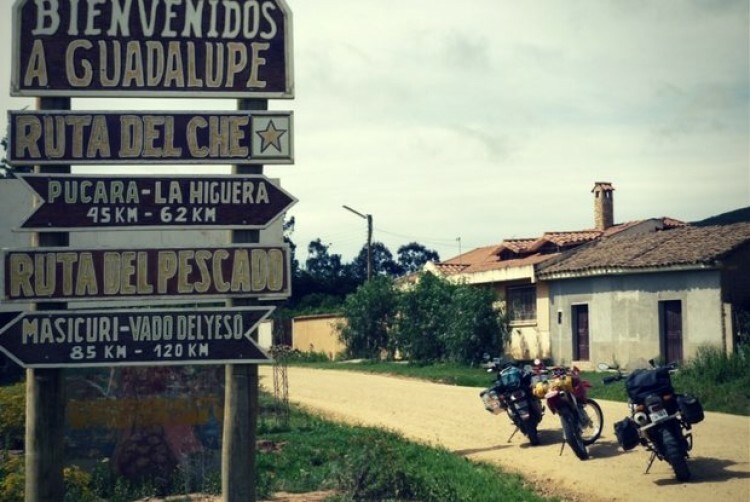 Inca High Andes Expedition Motorcycle TourCalling all adventurers! Please call MotoDiscovery for upcoming tour dates and booking. Tour starts in Arequipa, Peru and ends in Cusco, Peru. Motorcycle Rental required. Price includes BMW F 700 GS or BMW F 800 GS Motorcycle rental. South America. The continent is a magnet that attracts adventure riders from around the globe. 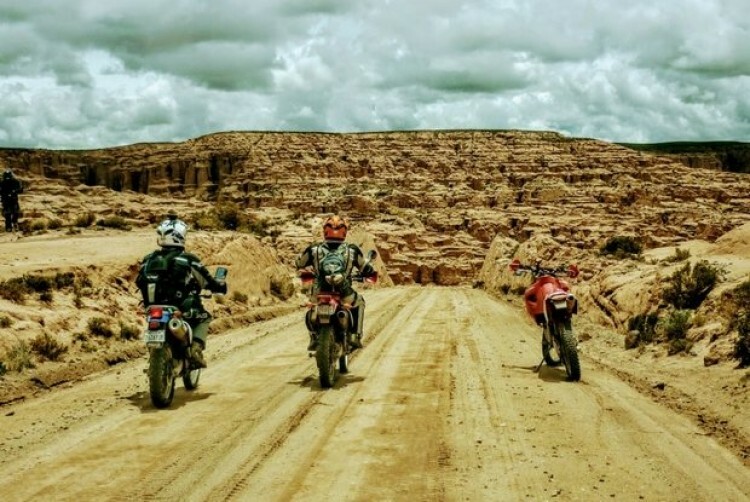 In this case, there is nothing that says “adventure” has to come with inconvenience or being denied comfort so count on the MotoDiscovery Inca Expedition to offer lots of riding thrills during the day with exceptional accommodations and services once off the bike. And to enhance the service, this tour is limited to only ten participants. Adventure in style. This tour requires riders to have off-road riding experience. Rider education is recommended. We encourage you to consider a MotoDiscovery Adventure Training Tour. Fly into Lima, Perú and on to Arequipa. Fly out or Cuzco, Peru to Lima and on to your international home destination. Small groups limited to eight participants. The tour begins in the city of Arequipa that rests at 7,550 feet, surrounded by three towering volcanoes. Founded in 1540 you experience a hint of Spain’s influence. Arequipa is the second most popular Peru travel destination behind Cuzco. The northern Atacama Desert of Chile. Many parts claim no record of rainfall. It is an arid 600-mile strip, a playground for the legendary Dakar race. 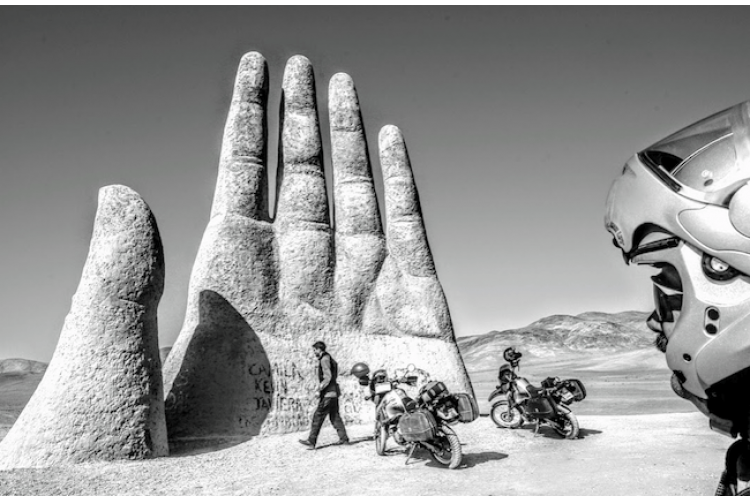 The Mano del Desierto draws you in from miles away, a mere dot in the desert. It is only as you near this imposing rock art that rises out of the sands that you realize it is a hand. You and your bike posing in front oflamano...go ahead and take a selfie. It is OK! Uyuni Salt Flats of Bolivia. You will stay in the famed sale hotel (weather permitting). This is the largest salt flat in the world covering over 4,000 square miles at an elevation of over 12,000 ft. 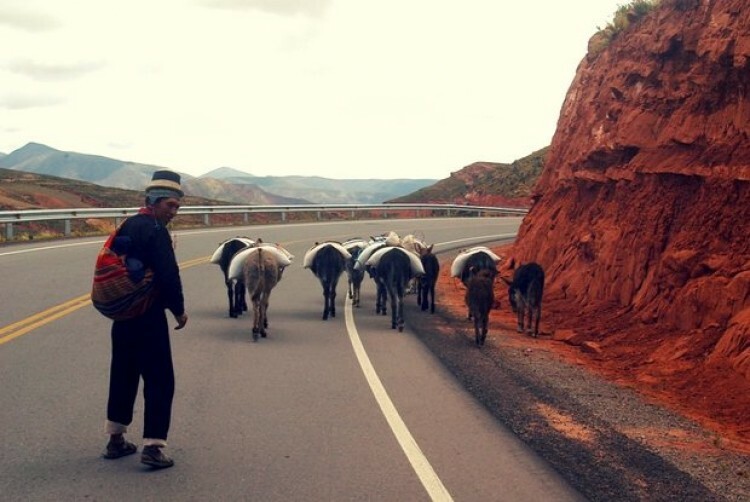 The Yungas Road of Death. It is now less traveled, with a newly paved road drawing away the majority of truck traffic that once clogged the roadway clinging to the side of the steep canyon walls. You have to ride it! Machu Picchu. 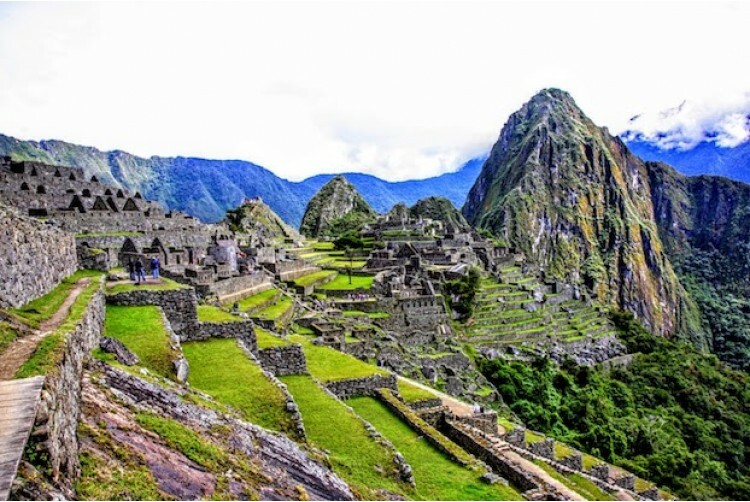 It should be on everyone’s bucket list, a pinnacle peak Inca citadel in the Andes that escaped the purge of the Spanish conquest, a relic only fully discovered in 1911 and a reminder of the greatness of the Inca Empire. Roughly 25% of the journey will be on unpaved roads. Cuzco was considered by the Inca to be the center of the universe. It is a high altitude blend of Spanish colonial charm and pre-Colombian native architecture, a remarkable example of ancient engineering with the nearby archaeological site of Sacsayhuaman giving testimony to the building talents and imagination of the Inca Empire. Train excursion and tour of Machu Picchu with guide and entrances. 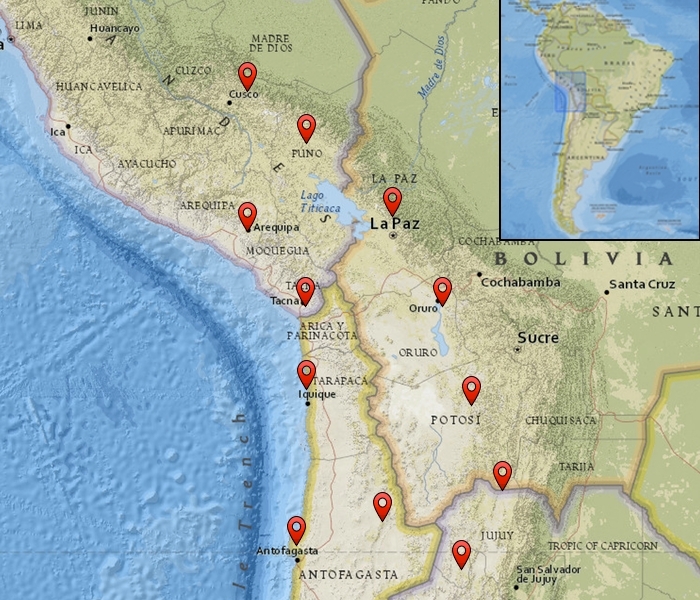 How long has MotoDiscovery been riding South America? We are early pioneers in organizing long motorcycle journeys. Our first excursions into South America started in 1994. We have ridden most all the countries of Latin America. You’ll be riding with the best and most experienced in the business. Unpaved sections represent about 10% of this event. While the ride is not overly technical it does require some off-road riding experience. Want to brush up your skills and gain a confidence 'edge'? Consider joining MotoDiscovery on one of our USA or Mexico-based Rider Trainings. What is the best motorcycle for this journey? 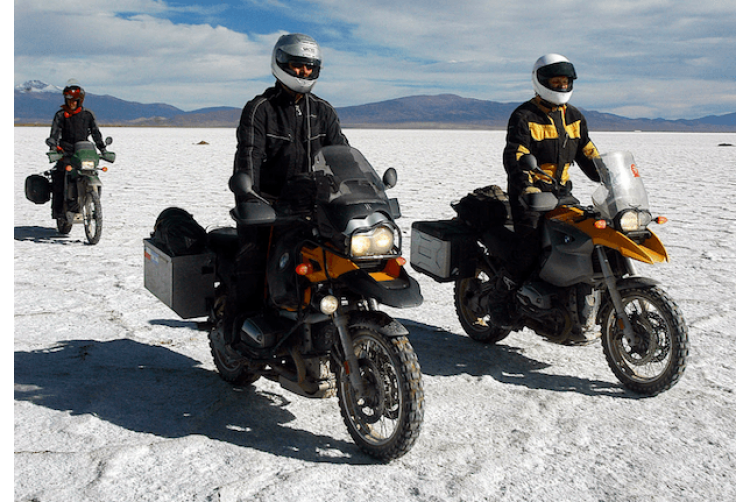 MotoDiscovery can facilitate the shipping of your personal motorcycle to and from South America. Ride the bike of your preference. It must be a “dual purpose” motorcycle, one that is capable of riding off pavement. We recommend something in the 650cc range or larger. More importantly, you should tune your skills so you are proficient on the motorcycle you select. If you have a larger (example R1200GS BMW) motorcycle, have the skills and experience that match the size and performance of such machines. In doubt? Consider Rider Training. You'll need a passport. In most cases, you do not need to apply for visas in advance. Visas can be obtained at the borders for USA citizens. Other nationalities should review visa requirements as they apply to your country. Most important question: We require that you have an emergency medical evacuation policy or similar coverage. It is reasonably priced and we’ll provide you with a number of options for your research. Most countries of South America require a third party (SOAT) liability insurance. It is relatively inexpensive and will be obtained in South America. Full coverage, collision, theft, etc. is available for most but not all countries. We will advise you of where to source this kind of coverage. Is this a good ride for a passenger? Yes. This is one of our longer tours, so that should be considered. If your passenger is unable to get away for the full duration of the tour consider a partial participation where he or she can fly in and ride with you for a portion of the event. Count on us for consultation and to provide you with a quote for partial participation in a tour. No. You will find the carefully selected accommodations to be everything from the luxurious to the basic as you make your way along the tour. Is this tour supported by a chase vehicle? Yes. There will be a support truck for the duration of the tour which will carry the bulk of your gear and any non-riding participants. How many are allowed on this tour? We cap this tour at 10 participants. On average distances are from 200 - 300 miles per day. A few will exceed this. A few will be less. There are numerous two-day stops in order to take in the multitude of highlights you will encounter along the way. Yes. Or you better be prepared to stick with someone who does. GPS is most convenient in finding the hotel at the end of the day. In many cases, accommodations are in the city center. You will be provided with GPS waypoints for hotels, as well as traditional paper maps and other tools for getting around with confidence. Now! This is not a tour to sign on last minute. Start planning now, call your friends and make your commitment to the journey of a lifetime!